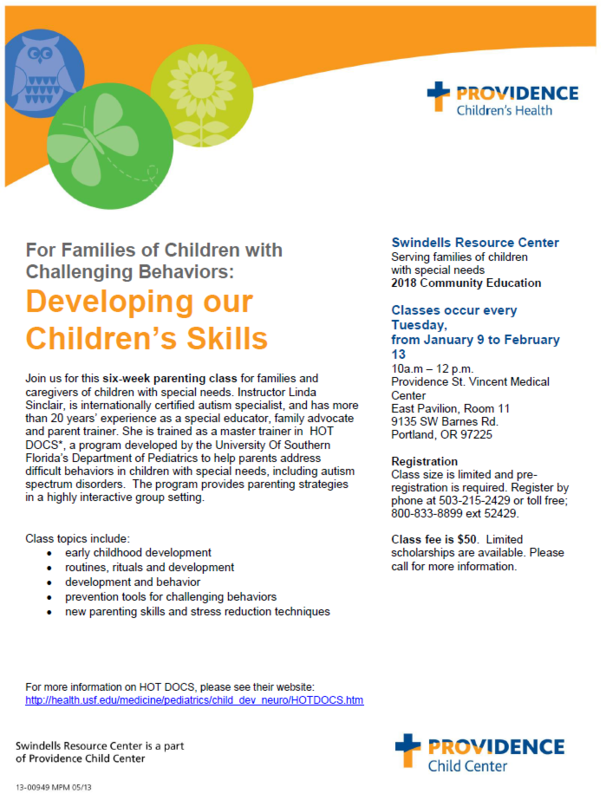 Join us for this six-week parenting class for families and caregivers of children with special needs. Instructor Linda Sinclair, is internationally certified autism specialist, and has more than 20 years’ experience as a special educator, family advocate and parent trainer. She is trained as a master trainer in HOT DOCS*, a program developed by the University Of Southern Florida’s Department of Pediatrics to help parents address difficult behaviors in children with special needs, including autism spectrum disorders. The program provides parenting strategies in a highly interactive group setting.